Oppo Camera Phones Now Available At Lazada Philippines! Home / mobile / news / oppo / Oppo Camera Phones Now Available At Lazada Philippines! In line with Oppo's quest to be the number 1 mobile brand in the Philippines, the company just expanded their distribution channels. This time the brand just inked an partnership with Lazada Philippines, the leader in e-commerce in the Philippines to reach more Filipinos nationwide. 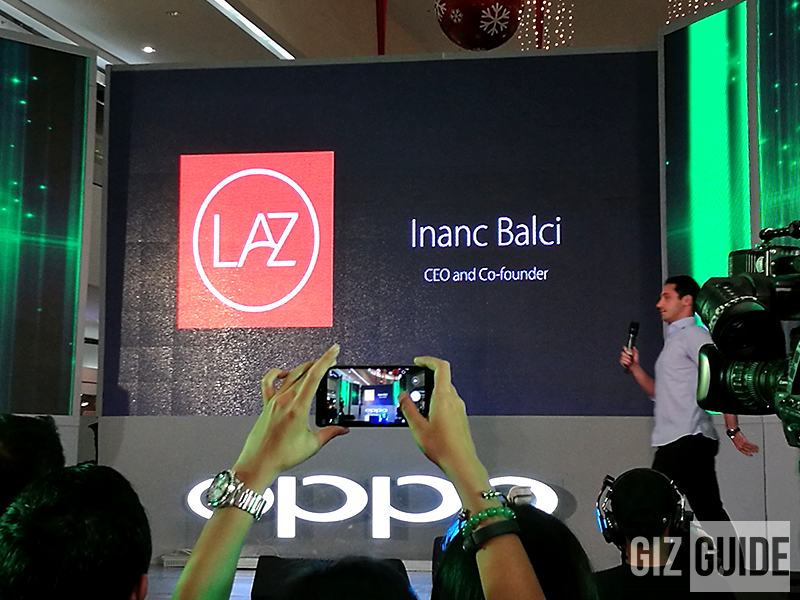 Lazada's Mr. Inanc Balci of Lazada at OPPO's stage! Under this latest exclusive partnership, any online shopper who wants to purchase original Oppo camera phones with local support and warranty can now enjoy the convenience of Lazada's online shopping platform. With Lazada, Oppo can now reach more customers nationwide even if they don't have a physical in that certain area. Along with that, users can enjoy Lazada's privileges of hassle free transactions which includes paying via cash on deliver right on their doorsteps, nationwide free shipping, and other online only promotion. Related: Oppo F1s Limited Now Official, Will Be Available Nationwide At Lazada With Freebies For PHP 12990! Right now, Oppo has started selling devices like the F1, F1 Plus, and A37. This 11/11 online revolution, the Oppo F1s Limited will be available at Lazada and will come with special freebies like a VR Box and selfie stick w/ shutter button. To shop Oppo devices at Lazada's online visit this link now.